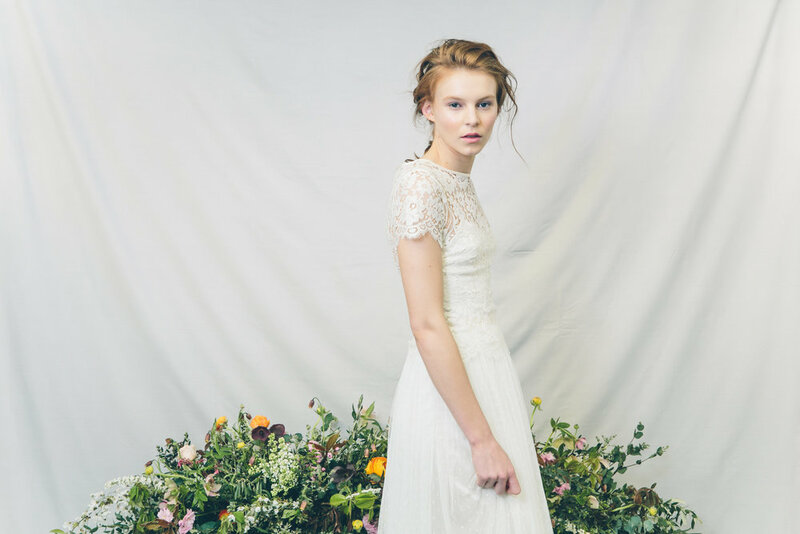 Peony combines a romantic and bohemian look with a contemporary edge, perfect for a relaxed modern bride. 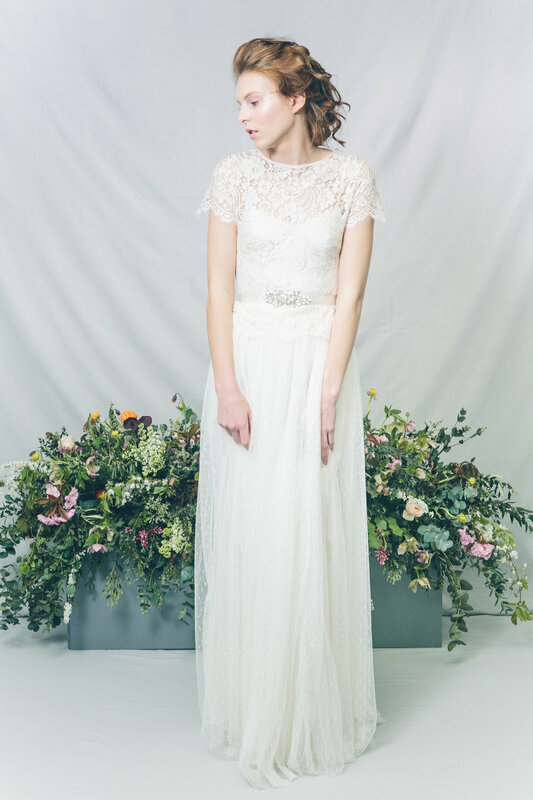 Bridal separates offer versatility, and this three-piece outfit of lace top, polka dot tulle skirt and silk-satin slip can be worn in a variety of different ways. The boldly patterned French lace top is cut in a classic round necked T-shirt shape, bound at the neckline in champagne coloured silk-satin, with the lace’s scallop edging at the hem and the capped sleeves. This longer line top can be worn tucked into the skirt or left loose, and also works beautifully worn alone over the silk-satin slip, as shown in the gallery below. Peony’s polka dot tulle skirt is gathered into a grosgrain satin ribbon waistband, and frothily flows to the floor. It can be worn alone over the slip, combined with the lace top, or paired with a shorter slip for fashion forward brides. Also pictured are additional waist sashes to add that finishing touch. 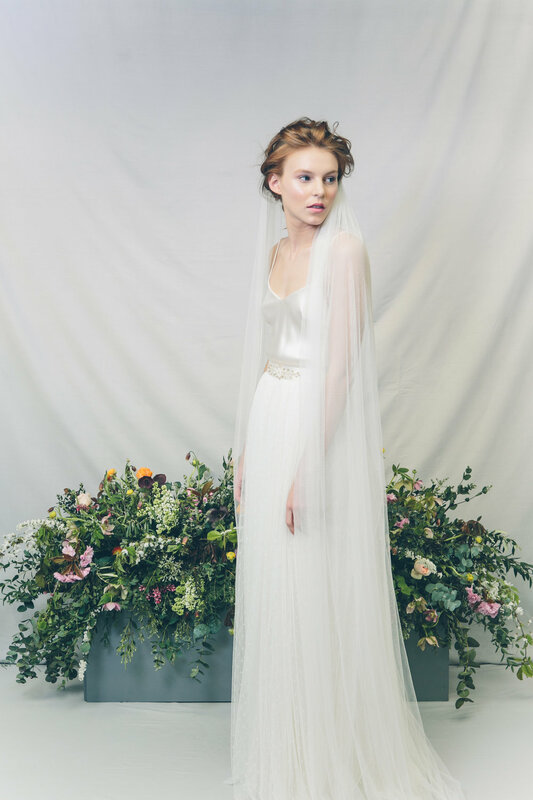 Bridal separates are a fantastic option for brides looking for something a little different, and maximise wearability beyond their wedding day. 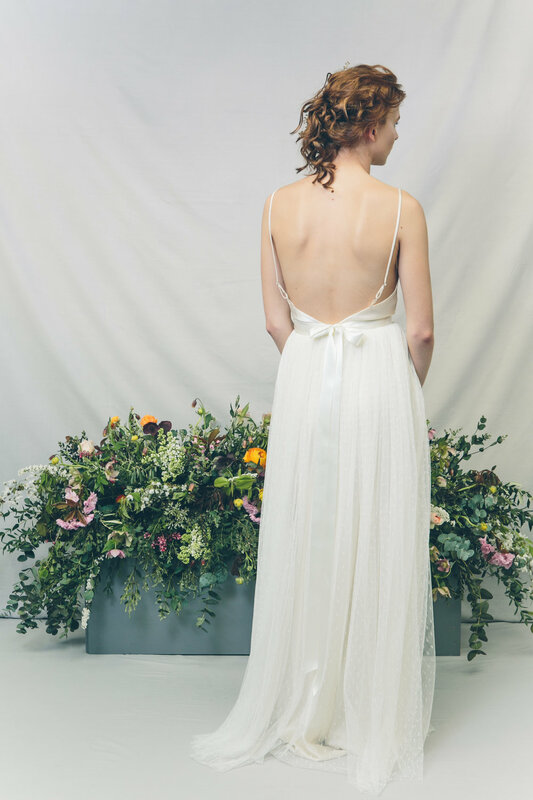 Peony also works beautifully with Lilac and Larkspur separates, and worn over the Bluebell slip dress, or the Camellia slip-dress in bronze silk.